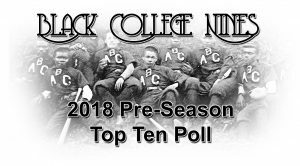 After losing to the National Champion Florida Gators in the NCAA Gainesville Regional finals last season, Bethune-Cookmen University opens the Historically Black College and University (HBCU) Black College Nines’ 2018 Large School Pre-Season Baseball Poll ranked number one. 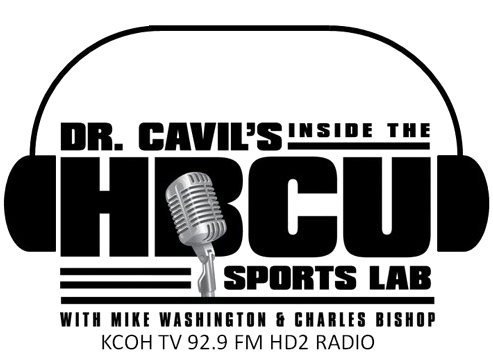 Bethune Cookmen, one of five Mid-Eastern Athletic Conference (MEAC) teams in the top ten, is joined by No. 2 North Carolina A&T University, No. 5 Florida A&M University, No. 7 North Carolina Central University, and No. 8 Delaware State University. Jackson State University begins the season ranked No. 3 and is one of five Southwestern Athletic Conference (SWAC) teams in the preseason top 10 poll. Other conference members include No. 4 Alabama State University, No. 6 Texas Southern University, No. 9 Prairie View A&M University and No.10 Grambling State University rounds out the BCN large school division representing NCAA Division I baseball programs. Talladega College sits atop the HBCU Pre-Season Small School Poll this year. The Tornados ballclub was the Gulf Coast Athletic Conference (GCAC) regular season champion, finished second in the Association of Independent Institutions (A.I.I.) Conference Tournament and advanced to the NAIA National Tournament. The rest of the small school poll, made up of NCAA Division II, Division III and NAIA schools, includes No. 2 Winston Salem State University, No. 3 Edward Waters College, No. 4 Harris Stowe State University, No. 5 Miles College, No. 6 Benedict College, No. 7 Tuskegee University, No. 8 Jarvis Christian College, No. 9 Selma University and No. 10 West Virginia State University. 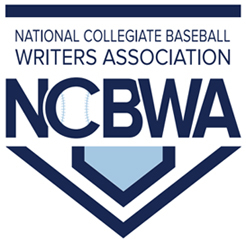 For updated won/loss records of all 51 HBCU baseball programs this season and weekly polls, click on the “2018 Season” drop-down menu near the top of the page.